Fresh off a big win against Subiaco AFC last week, ECU will confident and Coach Dale McCulloch said they are relishing taking on the league leaders. “we are coming off two sloid league wins to kick start our season, and I thought we played some good attacking football and deservedly won both games,” he said. 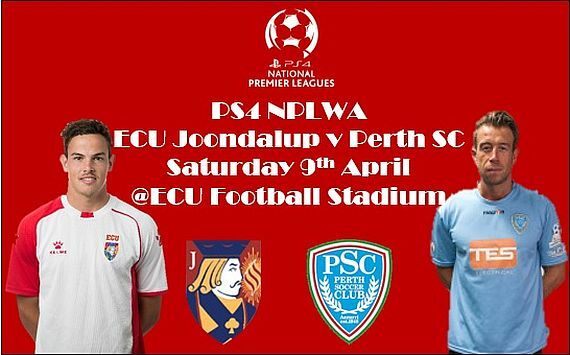 Soale said Joondalup have signed a few new players in the off-season and is expecting a tough encounter. “They’re never easy to play up there and like a lot of the teams they’ve strengthened well over the off season with more to play for, including one of our former guys Harley Orr which’ll be funny to come up against him,” he said. “I think the night series win we had over them is irrelevant we just need to keep working as hard as we have been, and I believe we should hopefully be able to get result but we’re taking nothing for granted.” Tom King is available for Perth, but Reece Vittiglia and Andreas Theodosiades look likely to miss again.